Having an updated, luxurious, and functional bathroom is important for any household, but many homeowners worry about the costs involved with bringing their outdated bath into the 21 century. With Selig Custom, you can rest easy knowing that we’ll get you the best products on the market—at a price that fits within your budget. 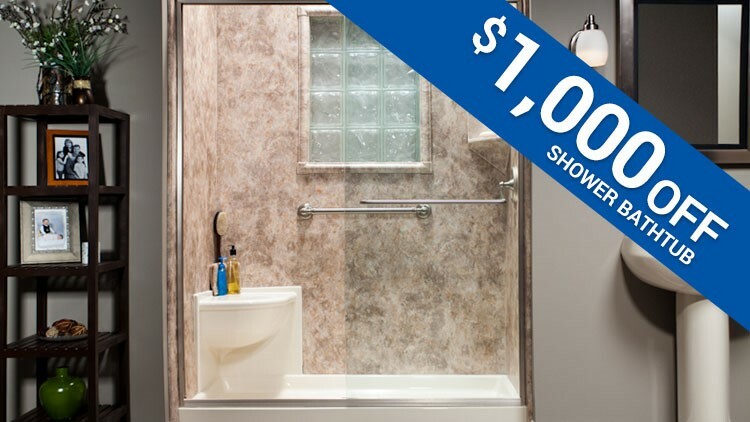 In fact, with our exclusive deal, you can now save $1,000 off a shower or bathtub project! Whether you are planning a fast bath conversion or need to upgrade your tub or shower with a modern, custom model, the pros at Selig Custom can help you save $1,000 on your next project! give us a call today to learn more about what we offer to homeowners throughout the area, or fill out our simple online form now to request your free, no-obligation estimate and consultation.